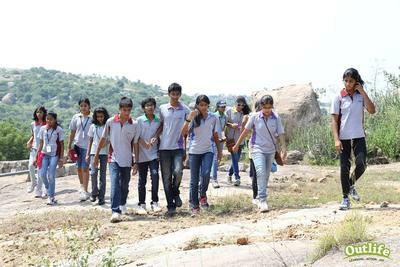 Experiential Education is the use of outdoor, adventure and nature experiences for education and development purposes. Experiential education broadly includes programs that are designed around the concepts of environmental education, conservation education, adventure education, value education, life skills, outdoor camping, wilderness therapy that help students learn, understand and relate to the real world. Our Experiential and Outdoor Education Methodology comes from globally used evidence based approaches on outdoor and experiential education. ​The Kolb's Experimental Learning Cycle, learning styles, educator profiling and outdoor facilitation guides our design and delivery of our programs to make them meaningful and long lasting impact on the students. Outlife Experiential Education Programs are specifically designed and tailored for the participants aged 6 to 17 years based on their recreational, learning and development needs. Programs include the principles of experiential, outdoor and adventure education to facilitate the overall development of knowledge, character, personality and life skills. We offer programs to schools, colleges, and universities from 6 years onwards to young adults aged 17 years. 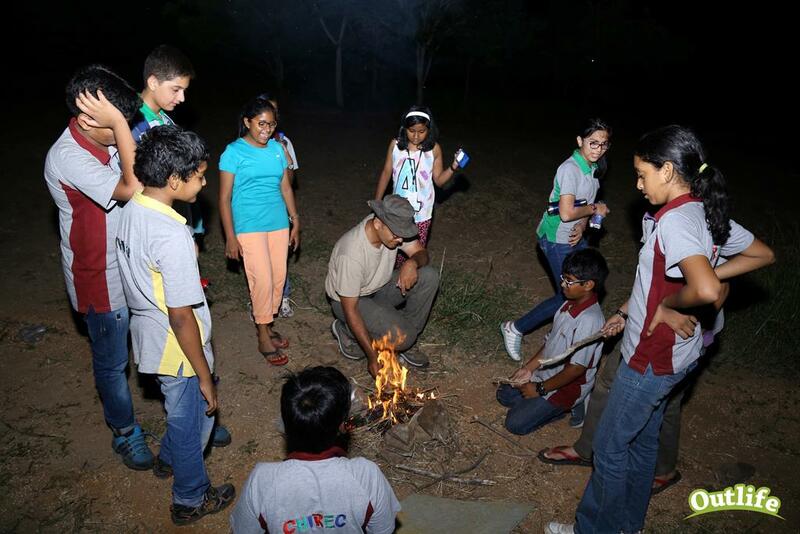 Our programs include outdoor learning, team building, adventure camps to adventure sports. ​The programs are designed to introduce the school students to real world through experiential learning methods, leading to a meaningful experiences, reflection, self-discovery and character development. 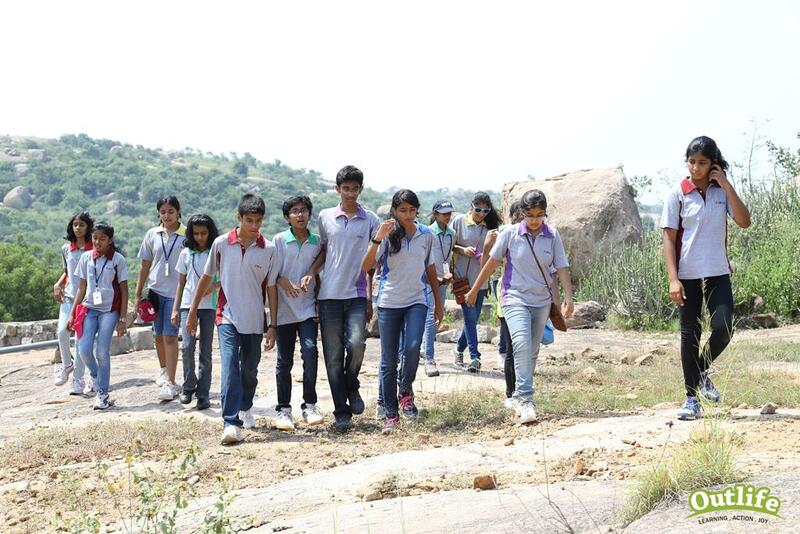 Our school educational trips are a combination of travel, adventure, nature, service, learning. 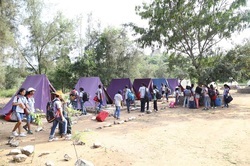 The school programmes include variety of outdoor educational activities such as easy trekking, kayaking, rock climbing, cycling, wildlife safaris, outdoor skills, nature education and community service. We also have expertise in delivering school curriculum and subjects through experiential education pedagogy. We design and deliver programs for IB and Cambridge Schools that takes care of the CAS (Creativity, Action, Service) Programme Requirements. 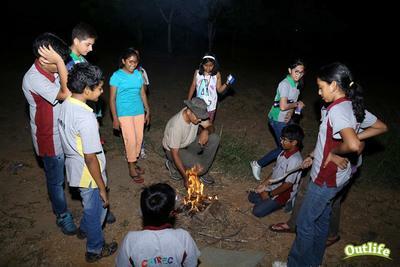 Experiential, Outdoors, Adventure and camping Experiences comprise of challenging experiences, both physical and emotional, which lead to new awareness, sensitivity and understanding in the students. In an outdoor camp, learners set out to explore the unknown as a team and in the process rediscover and re-connect with self and the world around developing Intrapersonal, interpersonal, ekistic and ecosystemic relationships. 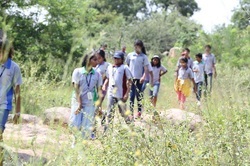 The important aspect of the experiential education camp is the element of curiosity and creative anxiety at every step. Therefore, it helps the learner experience and understand how he/she navigates the unknown challenge and further develops his/her capacity to become self reliant, independent, confident and caring. Expeditions includes a process of planning and preparation, to managing and organizing resources and implementation of the expedition journey on ground. Students 'learn by doing'. They develop and practice the necessary concepts and skills through real time experiences along the way. 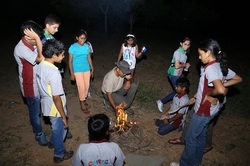 We conduct one day to 5 days camp where the kids get exposure to adventure actvities, nature based learning which helps them learn from the experiences and makes them self reliant and independent. 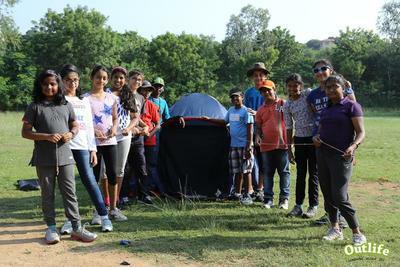 The focus of the camps is to give the students the skills needed to develop confidence. Doctor on Call: We have a standby doctor on call from the close by Hospitals and a emergency vehicle on camp to take care of any medical needs.